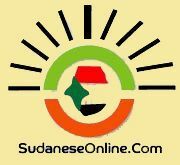 Khartoum-The joint United Nations-African Union peacekeeping mission in Darfur, (UNAMID) disclosed on Tuesday that (4) of its peacekeepers are missing in Darfur after being swept away by floods. The peacekeepers were en route to Misterei, about 50 kilometres (30 miles) south-west of the regional capital Geneina, with a World Food Programme (WFP) convoy when a flash flood hit, Ms Abdulrahman said. "The incident occurred while the peacekeepers attempted to pull out their truck which was stuck in the mud of a river valley," she said. The peacekeepers are deployed in Darfur to end a decade-long conflict between government and rebel forces. The UN estimates that more than 300,000 people have died in Darfur, mostly from disease, since rebels took up arms in 2003.